I actually posted to I Eat Yucky Stuff today! 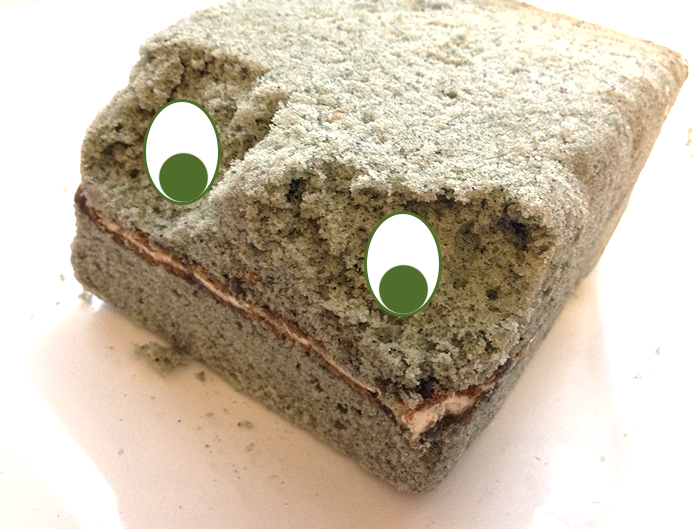 Get a load of this Korean mugwort sandwich pastry! 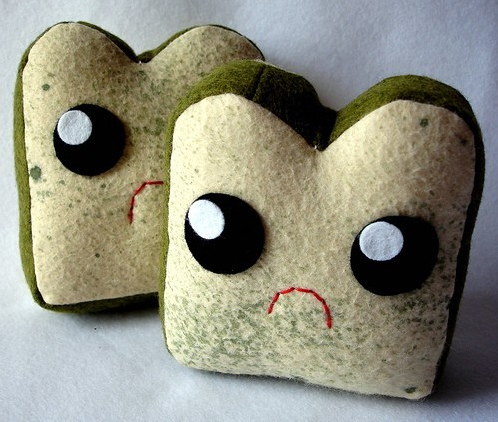 He reminded me a lot of the moldy bread plush by My Paper Crane, which was admittedly a huge factor in my purchase. Here’s me eating it and also talking a lot about mugwort, which is something that probably neither me nor you expected today. I think this was a really good activity to pair with the fact that I had my teeth cleaned at the dentist today. Prepping a squeaky clean canvas for my mugwort adventures! Chomp chomp! I’ve only heard of mugwort in the context of witches brews…! HAhahaha. Oo..that was amazing. I wish that we had some Korean bakeries around here. They look fun. Hairy wouldn’t even try a bite! I love when you eat yucky stuff! And I adore your Lisa Frank shirt.